We take great pride in offering timely support. Most questions are answered within a few hours, and we do our best to answer all questions by the next business day. Currently, support is not available on weekends and holidays. We are happy to address as many 'how do I do X" type enquiries by email. If you need more "hands-on" support we can do Skype support calls and/or log into your website and work with you. Hands-On support is a premium extra not covered by the package and is charged at £20 per 30 minutes (minimum 30 minutes). We want to work for you, and we'll bend over backwards to make that happen. Even if your problem isn't directly related, we will at least get you pointed in the right direction. What you see is what you get! 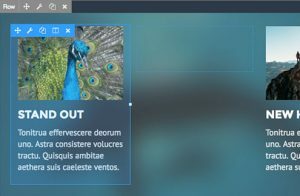 The page builder’s intuitive page builder works in real time on the front end of your page. No more guesswork. Coupled with your responsive theme, any page built will be totally responsive. The page builder plays great with WooCommerce. It's never been easier to design a storefront. The page builder supports shortcodes and widgets so you can use your other favorite plugins. The goal and philosophy of the development team was to create a toolset simple enough for end users but powerful. The theme is the perfect balance of settings and functionality. As a web agency, we've spent years working with many, many clients, and we LOVE this theme. The WordPress Customizer is fully adopted for all of the theme settings. This enables you to live preview any of your theme setting changes, editing your theme is just as easy as editing your pages. We have a variety of presets that automatically update the theme settings to create dozens of different styles with the click of a button. The theme utilizes the popular Bootstrap framework as its CSS base. With best practices baked in and a thriving community, Bootstrap puts you in good hands. Over 50,000 websites are using this Theme and it powers several high-traffic websites and blogs. 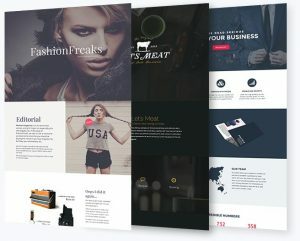 The stability of the theme has been battle tested and it's a great choice for projects of any size. We take daily backups of your entire account as standard & there's no charge for restores. Four layers of security provide real-time protection against web-based attacks & spam. Build Complex, Powerful Contact Forms in Just Minutes. No Programming Knowledge Required! Build and publish your WordPress forms in just minutes. No drudgery, just quick and easy form-building. Select your fields, configure your options and easily embed forms on your WordPress powered site using the built-in tools. That's way more satisfying (and less fattening) than a peanutty candy bar any day. 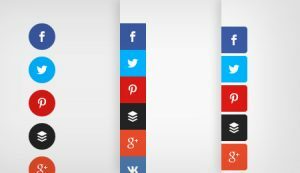 Choose from over 20 social sharing networks to display on your website. Add and arrange any number of available networks to create a custom collection of sharing options for your visitors. Different websites, pages, and posts have different social sharing needs. That's why we've included a large selection of locations you can choose to place sharing buttons, including floating, above and/or below content, on images and video, fly-in and popup. Customisation options are aplenty, even down to size, shape and actions. 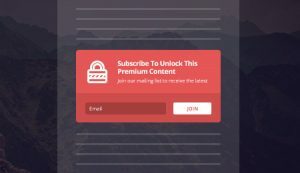 Gain More Email Subscribers with our premium Email Opt-In Plugin for WordPress. Gives you all the tools you need to turn your website's visitors into loyal followers and customers. Not only is Bloom going to convert extremely well, it's going to look great doing it. Different websites, pages, and posts may require different targeting configurations. That's why we've included a large selection of opt-in types and locations that can be used anywhere on your website. Gives you the power to display opt-in forms using integrations of the most popular email marketing systems available.